Oh man, that was a crazy day..(and super fun ). I’m going to tell you all about it, and what your pre-launch checklist has to include so you can have a successful product launch. I will start from the end. 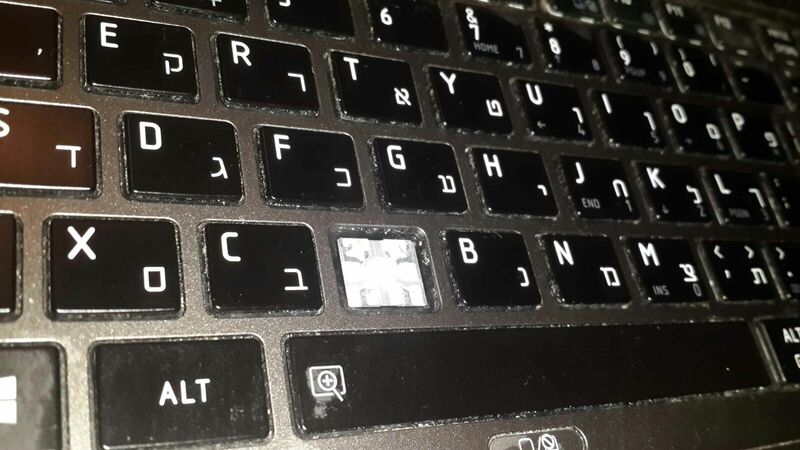 After 30+ straight hours of working, typing and making sure everyone in our reachable circles knew about Poptin, even Gal’s keyboard got tired. 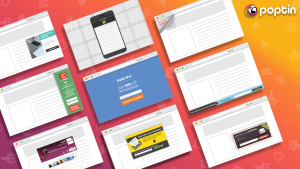 Lead capture platforms and other conversion rate tools usually don’t do so well on Product Hunt. 95% of our competitors finished with less than 400 upvotes. 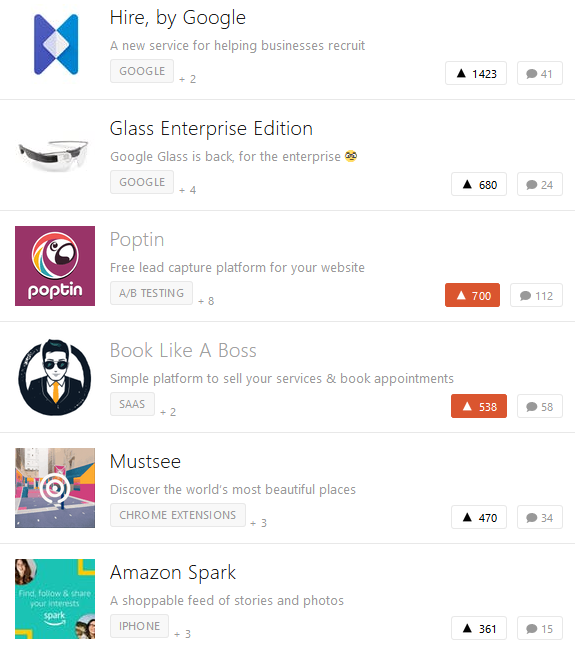 Our type of business is not one of the best viral topics, I must say. “You’ll be fine as long as Google, Amazon , Facebook, Apple or Elon Mask won’t launch a product the same day as you do.”. 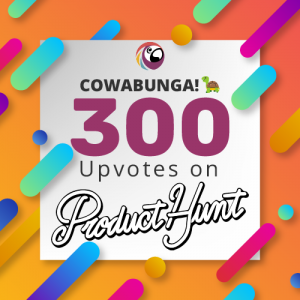 Despite the above challenges, we finished #3 on Product Hunt, with the 2nd most upvotes. For dessert, I’ll tell you what our plans are for the near future. 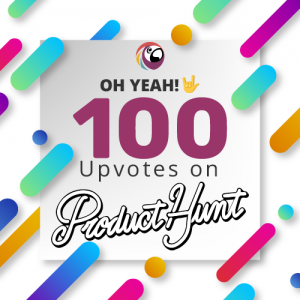 Before we get into the details, if you don’t know how Product Hunt works, what “maker” or “hunter” means or if you read a few articles (which probably contain some myth methods), I recommend you start with this one written by the Product Hunt team themselves. Oh yeah, here is a cool tool to keep track of the trending upvotes live. 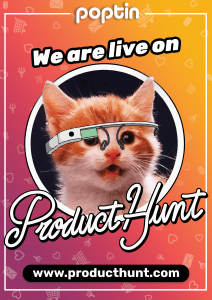 Launching on Product Hunt isn’t something you can be ready for in 2 or 3 days. 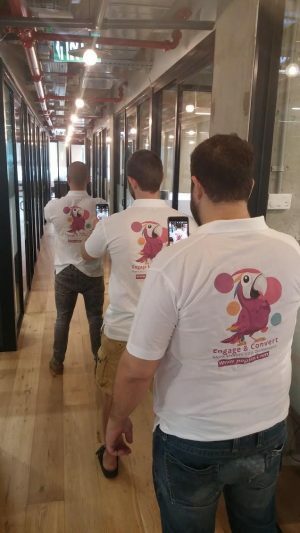 We started our preparations over a month before the launch day. The preparations were in 3 main areas: development, creative and marketing.. This part took probably over a month as there was a lot to be done. We launched the Hebrew version at the end of February and we needed to translate the whole interface, error messages, emails and so forth. The translation was the easy part. There were a lot of developing challenges to match the global standard and little things that were not always obvious to think about, like adding popular English fonts, adding more common 3rd party integrations, changing the format of dates and time display in the UI and more. 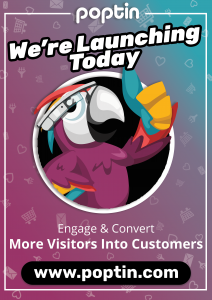 We also upgraded our AWS servers (where the app is hosted) and Upress servers (where the front website is hosted) in advance, to be ready to handle a high volume of traffic. Along the way we got some awesome scaling consulting from Adam Lev-Libfeld, and had some experienced front-end developers have a look at our drag and drop interface and the front website. This part is way different for every startup, so I attached a to-do list for the next parts. We managed the following parts in a Google spreadsheet that was accessible to all the team members on Google Drive. 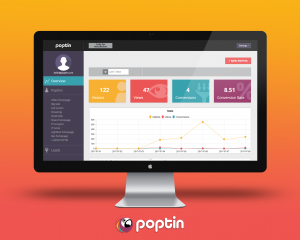 Build the ‘give feedback’ and ‘PH discount’ bars in Poptin app. Hunt you hunter (Huh? yeah you read it right. Make sure you secure a hunter to be on your side at least 2 weeks before your big day). BTW, you can hunt your own product and you’ll probably be OK too. The time difference between Israel and the east coast is 10 hours. When it was midnight there, it was 10AM here. Because of that, we planned to stay awake in the office from 10AM to 10AM of the next day. So how does a launch day look like? The following schedule is written according to Israel time. 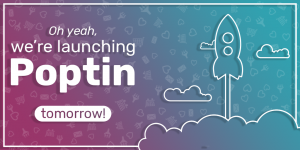 The day before: we shared the New Features blog post on social media, invited our friends to like the Poptin Facebook page, submitted a blog post to Zest, and went to bed early. 06:30AM – we woke up. This day we skipped the gym so we wouldn’t be exhausted later. 07:15AM – took the train to our Tel-Aviv office. 08:25AM – put the posters on the windows. 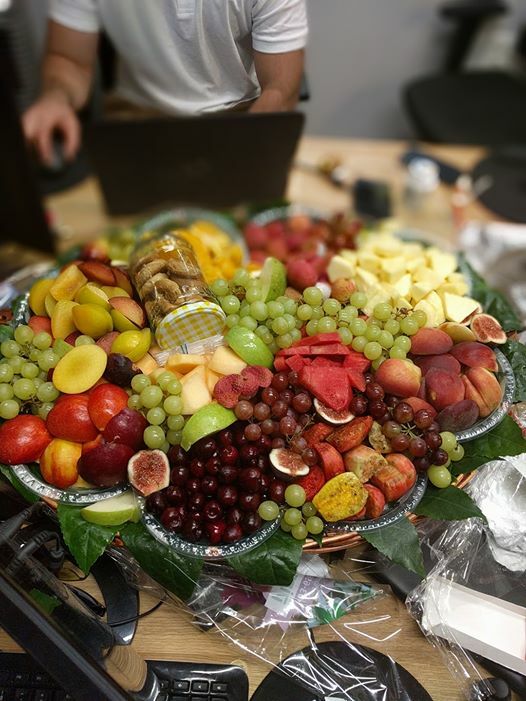 08:30AM – coffee, cleaned the tables (we need room for the snacks ), and made sure no one will bother us with not important stuff. 08:45AM – Activated the Google Adwords campaign we made around the “Poptin” brand. I made a Facebook story which I’ve never done before. 09:00AM – Avi and Dani came and got settled in their work stations. 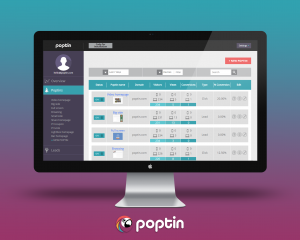 09:30AM – Activated the floating bars on poptin.com. 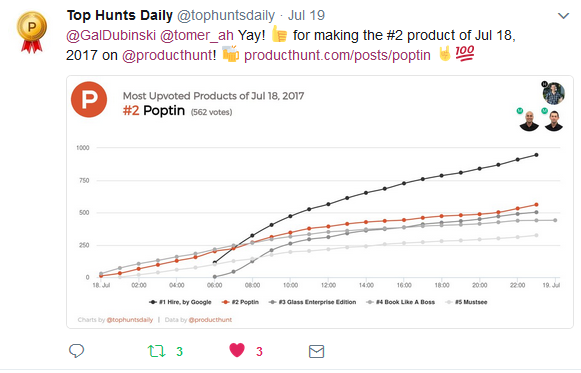 One for the visitors who would come from Product Hunt (with the discount) and one for all the others. 10:30AM –Wrote posts on all of our social media profiles saying we were live on PH. 10:40AM – Sent an email to our users and to those who subscribed to our newsletter. 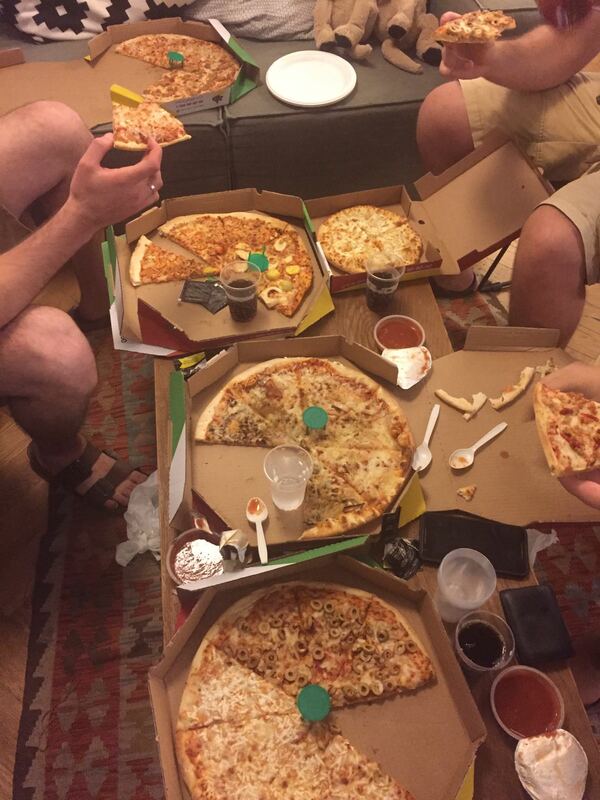 10:45AM – Posted on Product Hunt Israel. 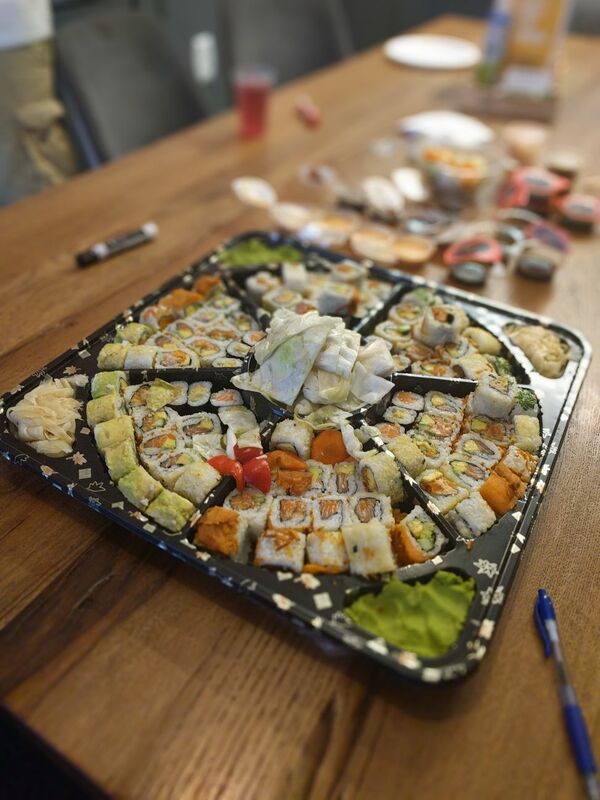 10:50AM – Posted on WeWork members network. 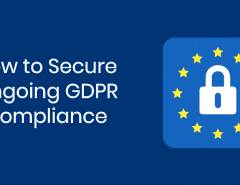 11:10AM – Friends and colleagues started to share it on the Facebook wall and a few Facebook groups’ managers (who also use Poptin) shared it on their groups. 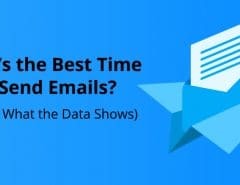 11:30AM – Posted on more Facebook groups like: SasS Growth Hacks, SaaS Product & Marketing, Product Hunt, SaaS Mantra and more. We got featured pretty fast, I think it was within the first 45 minutes after we were hunted. In the beginning of the day, “Book like a boss“, that was hunted by Noah Kagan, lead the scoring board for a couple of hours. We gave it our all and were chasing their tail until we got our momentum and climbed above them. Then Hire (by Google) and Google Glasses (for Enterprise) were hunted and quickly rose to the top four. 11:40AM – Posted a blog post on DesignerNews. Midnight: We called it “injury time”. We thought that we would be super busy at this time with chat support and stuff, but actually it was pretty quiet. 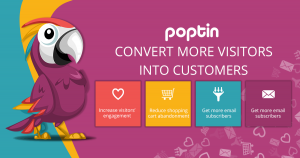 We used this time to get more distribution and submitted Poptin on more websites from this list. At this point Avi and Dani went to sleep on the couches. 07:00AM (of the next day) – We were squeezing every connection we had and we got a nice momentum in the last 2 hours of the day. 10:00AM – OK. Done. Poptin and all the other products moved to the ‘yesterday’ table and we were ready to go home. 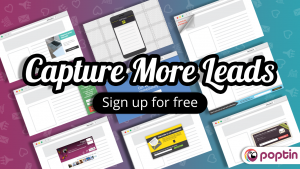 New sign-ups: 170 (70% from Product Hunt). 66 on the first day, 67 on the second day, 37 on the third day. We’ve been invited to 4 interviews/podcasts/lectures. Strengthen our brand in our community. Make a checklist like I described above in this post with all the tasks you must complete before launching the product and make your team ready for the big day (development, marketing, sales, support, creative etc). 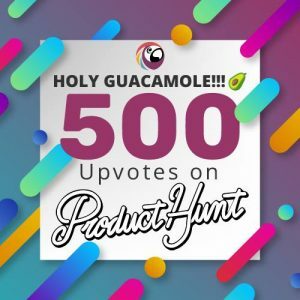 Connect with a lot of makers and people from PH community a month before you launch your own product. Be responsive and check your PH page every 10-15 minutes and comment when needed. There is no better strategy than a good product. If the community will love the product itself, it will promote itself organically and this is the strongest thing. Remember that your launch doesn’t end when the ‘race’ is finished. Top 5 products will be shown in the PH daily newsletter and you can get a lot of traffic from there. Take advantage of the momentum and keep growing your business from this point on. Remember that your launch doesn’t end when the ‘race’ is finished. Top 5 products will be shown in the PH daily newsletter and you can get a lot of traffic from there. Take advantage of the momentum and keep growing your business from this point on.What’s next for us? 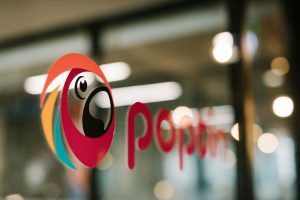 Designing the next tool in Poptin that will help digital marketers improve their website conversion rate, and get us one step closer to make Poptin All-In-One CRO platform.